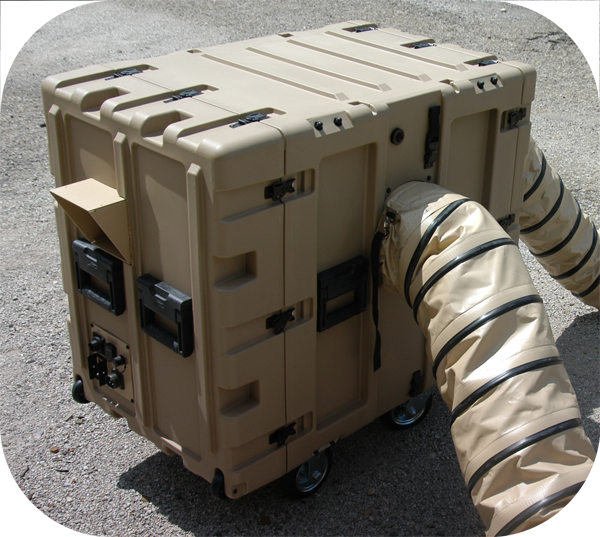 ETI's TECU products are available to meet your shelter or equipment temperature and humidity needs! levels for vital electronics or personnel to keep them functioning in challenging environments! Remote mount digital thermostat controller. 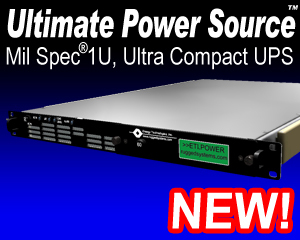 Lighter weight and smaller footprint than traditional ECUs. Standard 115 VAC, 60 Hz operation from shore or generator power. EPA approved environmentally safe refrigerants. Air filters are easily removed and cleaned. Quiet operation for noise sensitive applications. Durable, flexible, supply and return air ducts. Ducts weather-resistant and thermally insulated. Enclosed in rugged wheeled case for portability. Internal assembly isolated for mechanical shock and vibration per Mil-Standard 810. Internal TECU assembly slides out of transit case for easy access if needed for maintenance. Folding handles on all sides for lifting. Rugged wheels/tires sized for use in gravel or sandy environments. Wheels easily removed for when not needed. 12, 24, 48 or 72 VDC input optional. NATO Slave cables for vehicle power utilization. Various porosity air filter media available.